MISSOULA! 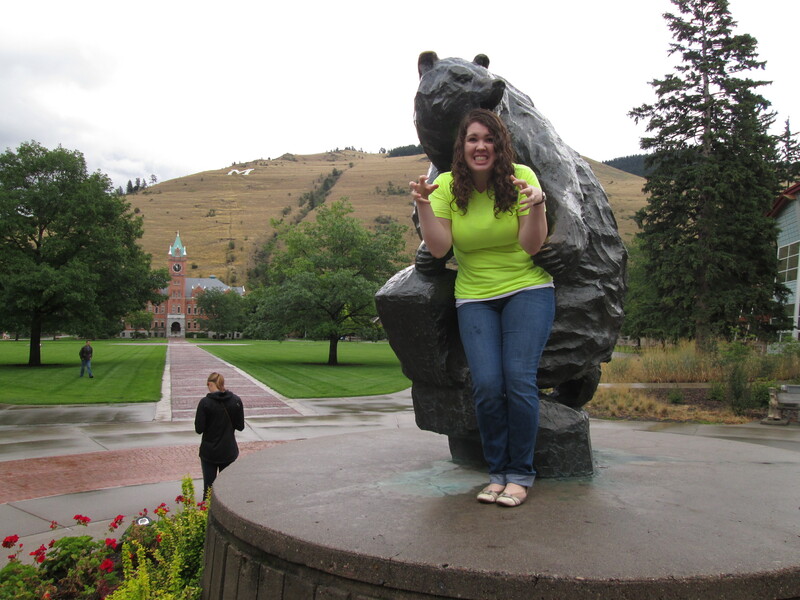 Yep, yours truly was actually transferred to Missoula, MT instead of Great Falls. I found out on the transfer van that the zone leaders had read us the old list by accident, so they had gotten my info wrong. 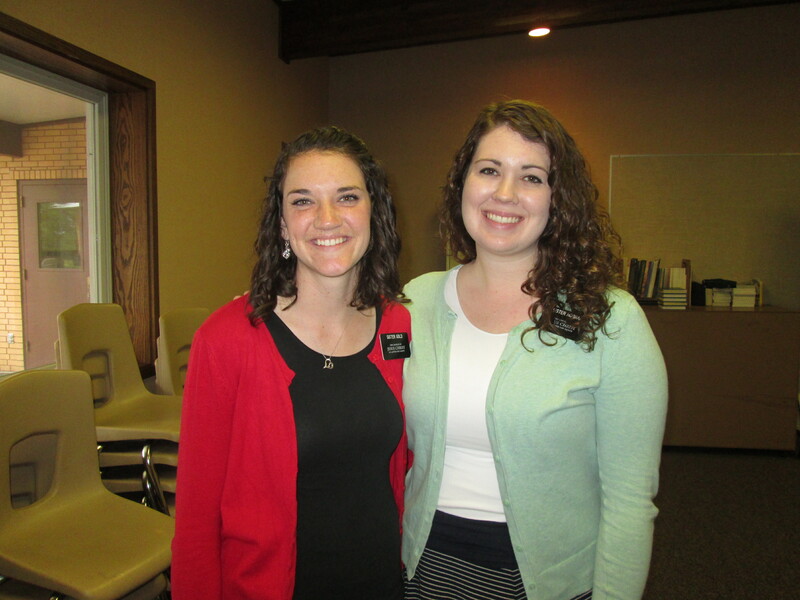 I am serving in the Missoula YSA ward and part-time in the Missoula 4th ward. My companion is from Jacksonville, Florida. I’ll tell you more about my area as my letter proceeds. We spent most of the day on Friday on-campus with a table. President Mecham and the stake president here told us not to wear proselyting clothes on campus, because otherwise we are super unapproachable. So instead we literally wear neon clothes and our tags! 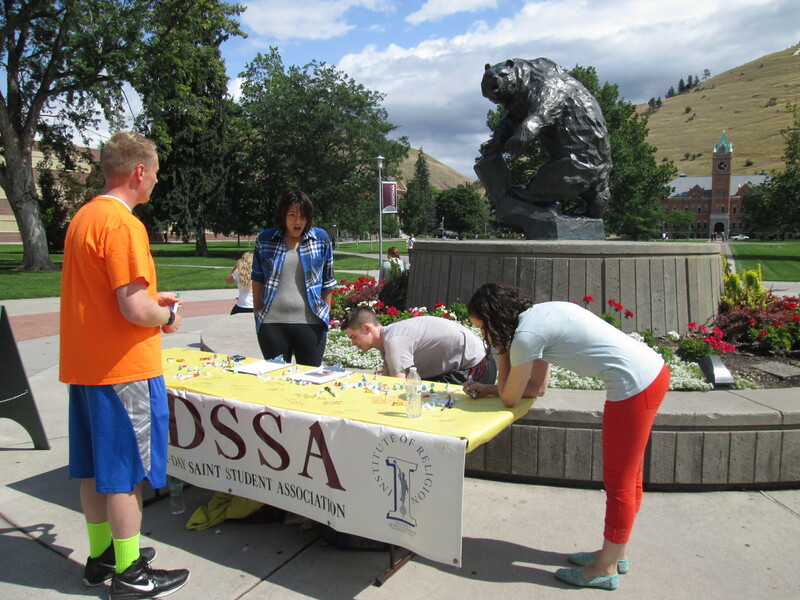 Our purpose this past Friday was to get people to sign up for Institute classes and get them aware of the LDSSA. 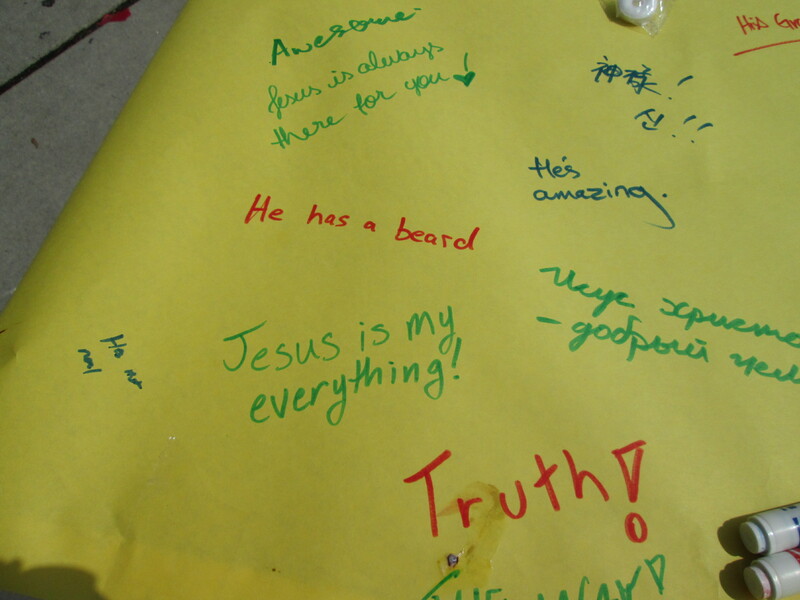 We had them come up and write on the table what they love about Jesus, and then they got candy. We got a ton of OYMs and met some really cool people. Very successful! It rained on us for the first hour though, which stunk. During that time, we just gave out the candy for free. We shouted at the students for them to come over and get the candy. We got some pretty great answers, but our favorite was from a black guy who said, “I’m all the chocolate I need”. Oh college students, how I have missed thee. Honestly, there is way too much stuff that happened this week for me to even begin to cover it all, so I’ll just end it here. It’s been a crazy week! I love you all and hope you have a great day!! !